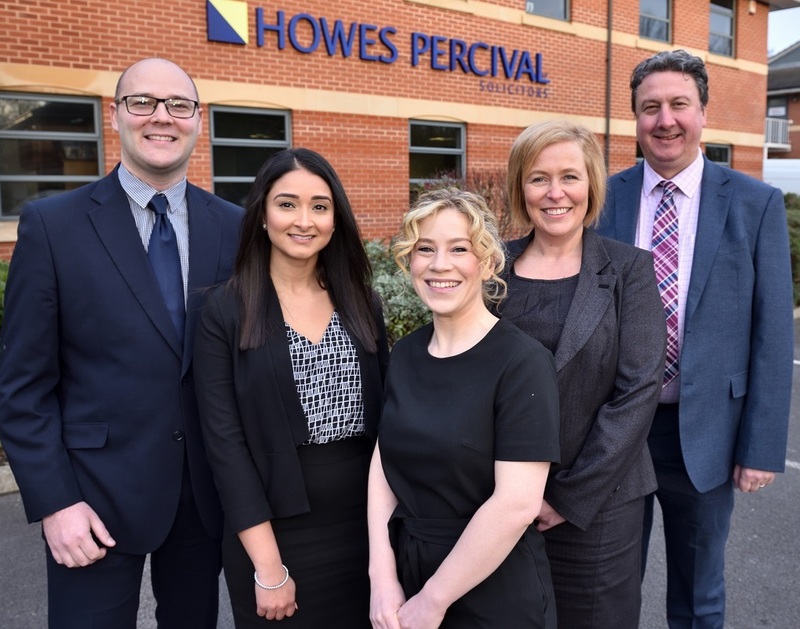 L-R: Nick Benton and Gurdeep Boparai joined by Hannah Ball, Paula Bailey and Alex Payton at Howes Percival's Leicester office. The head of Howes Percival’s employment law team says a marked increase in new instructions in the last 12 months is the reason behind a further expansion in its Leicester office. The team, which acts for a range of Leicestershire businesses as well as nationally recognised household names such as Welcome Break and leading pub operator and independent brewer, Marston’s, has recruited solicitor Gurdeep Boparai to the team from Weightmans and welcomed back Nick Benton, who has re-joined the firm as an associate from Freeths LLP.